Hasleo Data Recovery Professional 3.5 was available as a giveaway on September 12, 2017! Hasleo Data Recovery is a powerful and reliable data recovery software to solve your data loss problems whether you deleted some files by accident, formatted a drive or encountered a system crash and lost some files. With only three-step, you can get back lost files from PC hard drive, external hard drive, USB flash drive, SD card, digital camera, mobile phone, MP3/MP4 player and other storage media. As a Windows data recovery software suite, it supports all Windows file system FAT12/16/32, exFAT, NTFS and Windows dynamic disk. Furthermore, Hasleo Data Recovery not only recovers data from normal (non-encrypted) storage media, but also supports to recover data from Windows BitLocker encrypted drive with the Ultimate/Technician edition. How would you improve Hasleo Data Recovery Professional 3.5? WinToUSB is the best free Windows To Go Creator that allows you to install and run Windows 10/8.1/8/7 on an external hard drive or USB flash drive, or you can clone current Windows 10/8/7 installation to a USB drive as a Windows To Go Workspace. 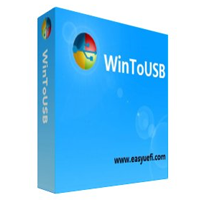 WinToUSB also supports creating a Windows installation USB flash drive from an installation ISO file, so you can install Windows from the USB flash drive easily. 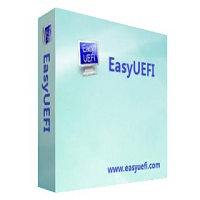 EasyUEFI owns comprehensive EFI/UEFI boot option management functions, such as create, delete, edit, clean up, backup and restore EFI/UEFI boot options, specifies a one-time boot entry for the next restart, or change the EFI/UEFI boot order without entering BIOS setup. EasyUEFI also releases a feature which allows you to backup, restore, rebuild the EFI System Partition (ESP), or move EFI System Partition from one drive to another. Did anyone succeded in making a boot WinPE? mr c, please contact us for support via email at support@hasleo.com. They send the key in an email. After you install, you may see a note bottom left, regarding the free limitations. Go to top right and click the 3 bars (to the left of the usual Close/minimize icons). Click Activate in the drop down choices, and enter your key. There seems to be a pattern emerging here. 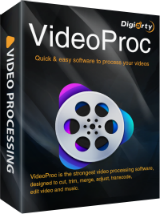 3 days a week, recovery software. 2 days a week, something for photo editing or music/video down loading. 1 day a week, yet another PDF to what ever file type, and one day a week of something new, different and interesting. Been a while since I was actually using this site, since I did not have a computer running for some time now. Got a new computer a few months back, and I have been back on GAOTD. I do appreciate the free software, but the repetitive nature is driving me nuts. I want to tell my friends about this site, but I am afraid that I will just embarrass myself. There seems to be a pattern emerging here. 3 days a week, recovery software. 2 days a week, something for photo editing or music/video down loading. 1 day a week, yet another PDF to what ever file type, and one day a week of something new, different and interesting. Been a while since I was actually using this site, since I did not have a computer running for some time now. Got a new computer a few months back, and I have been back on GAOTD. I do appreciate the free software, but the repetitive nature is driving me nuts. I want to tell my friends about this site, but I am afraid that I will just embarrass myself. The first version of "Hasleo Data Recovery" is dated 3/27/2016 and the latest version is dated 7/14/2017. An history of only 16 months and already five upgrades and no update! Searching about "easyuefi.com" is more informative about the Chinese origin of the program. The first version of "Hasleo Data Recovery" is dated 3/27/2016 and the latest version is dated 7/14/2017. An history of only 16 months and already five upgrades and no update! Searching about "easyuefi.com" is more informative about the Chinese origin of the program. It cannot find my external HDD. Ritchi Freudenkinder, please contact us for support via email at support@hasleo.com. The only feature worth paying attention in Professional (Today's Offer) is: 'Create WinPE Bootable Disk', not found in Free. IMHO. I have so many of them (Recovery Software) on my laptop and tried and tested far too many:).., commenting here on GOTD usually on useless ones - that it would take solid Testimony of Users I trust to download this one, and even then - it would need to be some kind of 'revelation' having been able to recover damaged (under ANY condition? ?, hmm) Files, pictures in particular, and next stating that this Program is far more superior to past Offers. But, folks will always be either new to such Programs, or needing something urgently right now, in which case - take this opportunity and good luck! 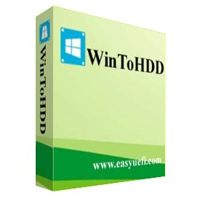 Hi, there is Free version of this Software here: https://www.hasleo.com/win-data-recovery/free-data-recovery.html And Comparison Table (Free v Professional and the rest) here: https://www.hasleo.com/win-data-recovery/free-comparison.html The only feature worth paying attention in Professional (Today's Offer) is: 'Create WinPE Bootable Disk', not found in Free. IMHO. I have so many of them (Recovery Software) on my laptop and tried and tested far too many:).., commenting here on GOTD usually on useless ones - that it would take solid Testimony of Users I trust to download this one, and even then - it would need to be some kind of 'revelation' having been able to recover damaged (under ANY condition? ?, hmm) Files, pictures in particular, and next stating that this Program is far more superior to past Offers. But, folks will always be either new to such Programs, or needing something urgently right now, in which case - take this opportunity and good luck! Installed and activated the license flawlessly. Will run the software tonight to see if it actually works. I have been downloading recovery software for the last 6 months from gotd and none of them have worked so far. Jerome, Also you can try to rescue with a boot-medium to rescue. On a boot-usb. Not bad. Jerome, Also you can try to rescue with a boot-medium to rescue. Some time ago I worked with R-Linux, http://www.r-tt.com/free_linux_recovery/ On a boot-usb. Not bad. A GoDaddy registered website, recovery software for which I could not find any user reviews and what with the dubious limitation [quote] Recover unlimited amount of data for free after sharing with friends[/quote] given on their homepage I think I'll pass up. A GoDaddy registered website, recovery software for which I could not find any user reviews and what with the dubious limitation [quote] Recover unlimited amount of data for free after sharing with friends[/quote] given on their homepage I think I'll pass up. Maybe others will yet convince me to try :-) Thanks anyway. "There are inherent dangers in the use of any Software available for downloading on the Internet, and Hasleo hereby admonishes you to make sure that you completely understand all of the risks before downloading any of the Software. You are solely responsible for adequate protection and backup of the data and equipment used in connection with any of the Software." It all makes me very wary of this vendor. Sigrid.DE, I agree, they don't say anything about their geographical location neither do they say under which legal jurisdiction they operate and to cap that under their terms and conditions they state what feels like a government health warning as if they know their software does harm and want to disclaim responsibility for any harm it will do... "There are inherent dangers in the use of any Software available for downloading on the Internet, and Hasleo hereby admonishes you to make sure that you completely understand all of the risks before downloading any of the Software. You are solely responsible for adequate protection and backup of the data and equipment used in connection with any of the Software." Add to that admonishment, their setup executable is unsigned, increasing the risks it could have been modified from original without our knowledge.as well as no SSL from their domain meaning their site is easier to hack than an SSL only site. As well as no assurance they have a tracable digital footprint through the signing authority which could be revoked through malicious activity... It all makes me very wary of this vendor. I just want to say that all of our products are almost free for home users and we charge mainly for commercial and other for-profit use, including this data recovery software and other softwares such as WinToUSB, EasyUEFI, etc. 'Recover unlimited amount of data for free after sharing with friends' is only available for home users, it has the purpose of software promotion, of course, but we did not expect to have this negative effect. Sigrid.DE, I just want to say that all of our products are almost free for home users and we charge mainly for commercial and other for-profit use, including this data recovery software and other softwares such as WinToUSB, EasyUEFI, etc. 'Recover unlimited amount of data for free after sharing with friends' is only available for home users, it has the purpose of software promotion, of course, but we did not expect to have this negative effect.